There are vitamins for Hair Loss that you can take to promote healthy hair. Hair loss can be caused by not having enough of a particular nutrient in the body. The growth of hair can be impeded if the hair follicle does not receive enough oxygen, which can be caused by a nutrient deficiency. There are several different vitamins for hair loss that ensure the follicles are staying healthy, some of which are Iron and Vitamin A. Eating healthy is a key component to having a healthy life. Do you know that there are certain vitamins that promote the growth of healthy hair and help fight hair thinning? Temporary hair loss such as alopecia can be caused by not having enough of a particular nutrient in the body. A lack of oxygen and nutrients can make the hair on the scalp stop growing. 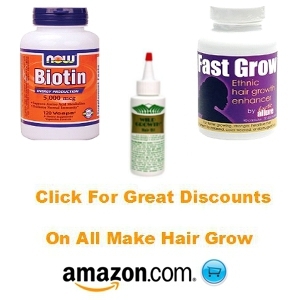 New hair growth can be stimulated and hair loss stopped by taking these vitamins for hair loss in women. In order to obtain these nutrients, they can be ingested in their natural food forms, or by a taking supplement. Make sure to consult your doctor before trying any of the vitamins to ensure you aren’t taking too much, or that there are no negative interactions with any medication you may already be taking. Low iron levels in the body, also known as anemia, can cause hair thinning. This is a condition where red blood cells can’t carry enough oxygen to the cells and tissues. Not getting enough oxygen can cause hair follicles to stop growing. Not having enough iron can sometimes happen when the person is a vegetarian if they aren’t consuming foods high in iron, or if a person is heavily restricting their diet by following a crash or fad diet. You can ensure you are getting enough iron by taking a supplement, or eating iron-rich foods like leafy green vegetables (spinach), beans, liver, pork, or fish. Sebum (scalp oil) is produced with the help of Vitamin A, which promotes a healthy scalp and healthy hair. Other scalp related problems such as dry hair or dandruff can also be helped by using Vitamin A. Food sources with good levels of Vitamin A are mangoes, carrots, sweet potatoes, squash and oranges. In order to properly absorb Vitamin A, smoking and medications such as aspirin should be avoided. Vitamin C helps in the production of collagen, an important part of maintaining the strength of the hair. Another benefit to Vitamin C is that it helps the body to absorb iron, which helps with hair loss. Oranges and other citrus fruit, as well as red sweet peppers, kiwi fruit and tomatoes are good sources of Vitamin C.
Vitamin E aids with hair growth by making sure the follicles receive enough oxygen by increasing the scalp’s circulation. Optimal hair growth will occur if the follicles are receiving all the oxygen and nutrients they need. Vitamin E can be taken as a supplement with the dosage of 400UI per day, or can be placed directly on the scalp. Fortified cereals, almonds & other nuts, leafy green vegetables, and vegetable and corn oil are good natural sources for Vitamin E.
This vitamin helps the hair follicle to get high levels of oxygen delivered to it, ensuring that the follicle is healthy. Stress can also cause hair loss, and a positive side effect of a Vitamin B complex is stress management. Eating foods like bananas, asparagus and green peas are a good way to make sure you are getting Vitamin B6. Folic acid also contributes to hair health and can be found in boiled asparagus, cooked lentils, and chickpeas. To ensure nice hair texture, the best nutrient is omega-3 Fatty Acids, which prevent dry brittle hair and can be found in fish and seeds. Other ways to consume essential fatty acids are to eat sardines, salmon and flax seed oil.